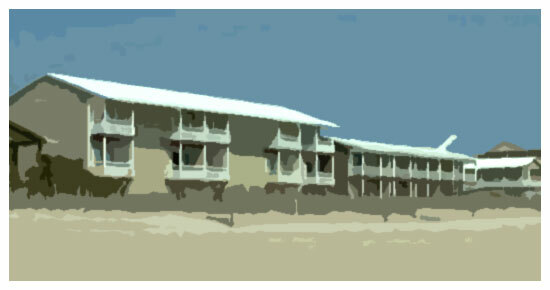 The Sea Ranch Motel is nestled among the sandy dunes on the southeast coast of North Carolina. Overlooking the warm waters of the Atlantic Ocean, the Sea Ranch offers a relaxing retreat from everyday life. Located in southern Carolina Beach, the Sea Ranch is oceanfront and has a wide sandy strand. You can observe beautiful sunrises, then spend the day on the beach or lounging by one of our two pools or jacuzzi. Family owned and operated, we have provided great rooms at affordable prices for many years. Sorry, no pets allowed, and all of our rooms are non-smoking. Hope to see you soon!